On Monday, The Philadelphia Flyer will retire Eric Lindros’ jersey on Jan. 18, 2018 prior to a game against the Toronto Maple Leafs. 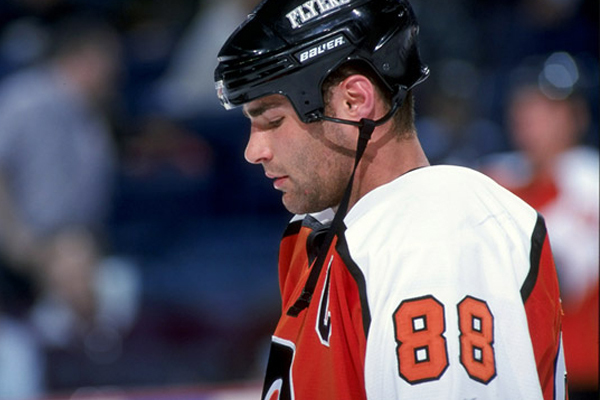 Inducted into the Hockey Hall of Fame last fall, Lindros appeared in 486 games for the Flyers over eight seasons, notching 290 goals and 369 assists. He won the Hart Trophy in the 1994-95 season, and carried the team all the way to the 1997 Stanley Cup Final. The London, Ontario native was acquired by the Flyers before he had played an NHL game in a blockbuster trade with the Quebec Nordiques, which had drafted him first overall in 1991.